Then all you do is click it, and you can update it! Keep in mind any world already started will not have any of the updated information, it only applies to newly created worlds after downloading the update. Which should usually not be an issue because I don’t release broken content! I bolded the important ones that directly impact your gameplay. I got a bunch of feedback from people that the tank level payout just isn’t great, so I boosted it a significant amount, 1.5X original so you’ll be gaining upgrade levels way faster than before in addition to adding a bunch of other ways to get some levels. If you’ve not started yet, this is a great reason to start your world, and if you have already started, consider what you have the “HARD MODE!” because if you do manage to complete it with the original payout then you’d be doing what many before you have not done. I won’t always put up notes like this for updates as they are usually insignificant, but I figured these are some pretty big changes… at least for Infinity Plumber. 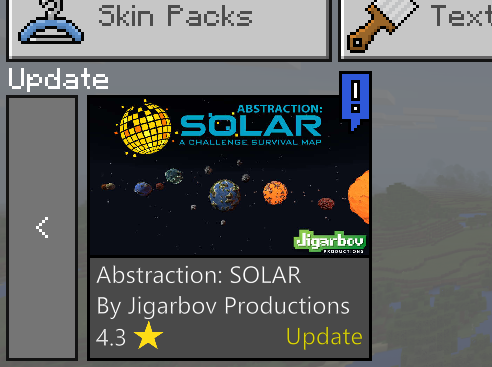 Thanks to everyone who has purchased so far, I hope you take this as a vote of confidence that am always looking at your feedback and will try where I can to make things smoother and better and will always fix bugs when they effect Jigarbov Production maps. Have fun!